Olivet Institute of Technology (OIT) is offering a new tool called New Relic to help students track the activities of online applications. 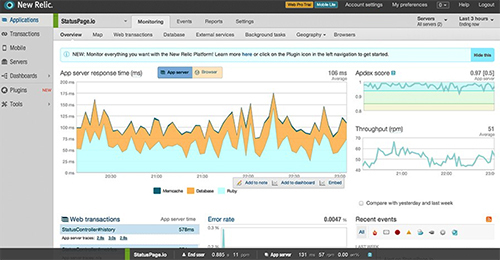 The New Relic serves as a platform that provides basic functions to monitor the stack of web and mobile apps. "This tool is very useful and it helps to identify the problems instead of a blind search," one student commented after using it. "I am able to find out the issues quickly through the entire data when problem happens." One faculty member from OIT also recommended this tool for their programmers or developers saying it is wise to use third-party technology to improve the efficiency of their works and save more time. With this new approach, OIT students will further improve their performances with their various assignments and serve as a tool to experiment for future potential projects.